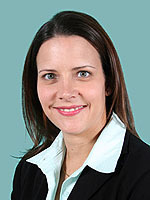 Dr. Gloriane Afonso-Fede is a graduate of St. George’s University School of Medicine. She completed her Internal Medicine residency at the Brooklyn Hospital Center, where she served as chief resident. She is board certified in Internal Medicine and a member of the American Medical Association. Dr. Afonso-Fede is fluent in Portuguese.